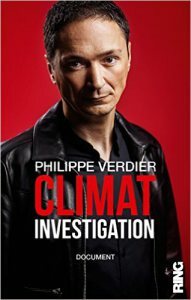 As many will know who take an interest in these things, a recent GWPF newsletter reported that France Télévisions has sacked their weather man, Philipe Verdier, for having the temerity to write a book Climate Investigations challenging the orthodoxy on climate change impacts. Here we have a man who believes in climate change but suggests that some of the impacts will be positive and some of the worse ones will not be a problem to developed nations like France. What is less surprising is the tone of the interviewer and the blatant spinning of climate hysteria. Apparently Australia is in a deep drought due to climate change, whilst other countries are flooded and there are increasing numbers of climate refugees! Seriously.